In the early years of OS X, the Mac operating system was sold on a DVD. If a user forgot the administrator password, perhaps the simplest way (of several) would be to use that disc to set a new administrator password and regain control of the Mac. Nowadays, there is no install disc provided with OS X, and so an alternative method is necessary. 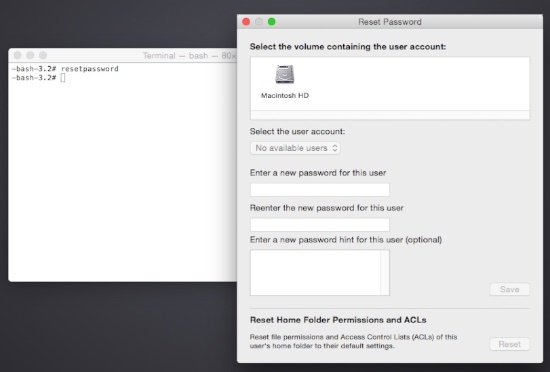 To be clear, there are several technical ways to reset the administrator password on a Mac. Some of them are rather Unix-geeky and can make a novice user nervous. For the sake of completeness, I'll reference those methods at the end of this article. For now, we'll start with the easy ones. When you first set up your Mac or upgraded the OS, The Setup Assistant will ask if you want to allow your Apple ID to reset the user (admin) password. If you did that, the box in System Preferences > Users & Groups was set. See below. However, if you deselected that box, and later forgot your password, you're out of luck. One reason to deselect the box is extreme security. If, heaven forbid, Apple's system is hacked, your admin password could be compromised. On to the next technique. One administrator has the power to reset the password of another administrator. 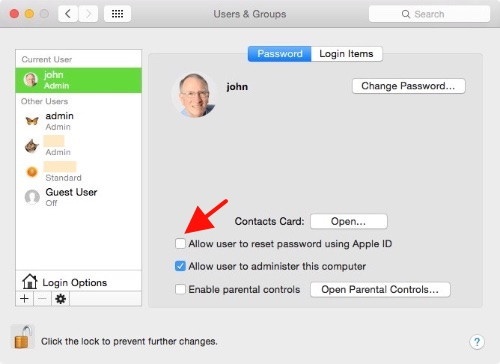 If you've previously set up your Mac with two administrator accounts, highly recommended, you can use the second admin account to login in and reset the password for the first administrator whose password has been forgotten. If you can't do that, on to the next technique. If the techniques above aren't available, a very neat, simple way to reset the administrator password is to make use of the OS X Recovery Partition. This is a hidden partition on your boot drive introduced with OS X 10.7 Lion, so the technique I'll describe works with OS X 10.7 Lion, 10.8 Mountain Lion, OS X 10.9 Mavericks and OS X 10.10 Yosemite. As a reminder, the person who first installed OS X on a Mac (or set it up out of the box) is the administrator. In this scenario, it's assumed that the administrator is you, and you know your account name but forgot the password. If it's locked up, see: "Frozen: How to Force the Restart of a Mac." 2. Right after you hear the chime, press and hold the Command and the R keys for a few seconds, then release. 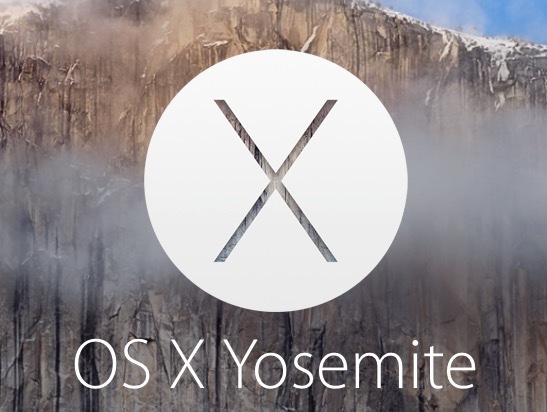 Soon, you'll see the Apple logo and spinning gear (or progress bar in Yosemite). This will force the Mac to boot into OS X on the Recovery Partition that was created when you installed OS X 10.7 or later. 3. When booting is complete, you'll see a window of "OS X Utilities." You won't do anything there. Instead, you'll go to the Menu bar at the top and select Utilities > Terminal. What you see after booting into Recovery Partition. Don't worry. You won't have to do anything exotic on the Unix command line. 4. In the terminal window type the following and hit Return. What you'll see after you enter "resetpassword"
Click on the 1) volume of interest, 2) select the desired user account name in the popup. Then enter the new password (twice). A password hint is optional. Click "Save." 6. Go back to the Apple Menu at the top. 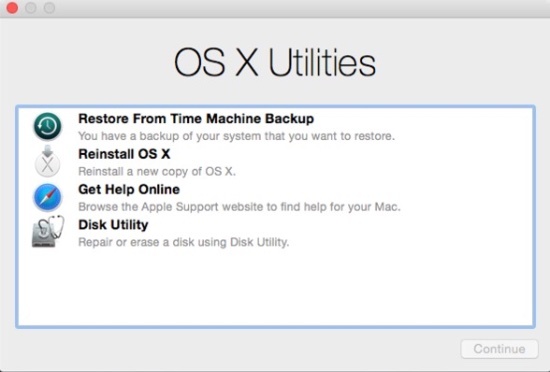 Select OS X Utilities > Quit OS X Utilities. That will prompt you to restart the Mac. If all went well, when the Mac restarts normally, you'll be able to log in to the administrator account with the new password you defined in step #5 above. From there you can manage the rest of of the users if necessary with System Preferences > Users & Groups. The OS X Keychain is where all your passwords are kept securely. If you forget your password, you no longer have access to that Keychain. As a result, when you log back in, you'll be asked to reset your Keychain. A new one will be created and unlocked with your new password. Because of that, you'll find yourself re-entering all the passwords that were stored in your old, now inaccessible Keychain. See Apple support article # PH18681. For the more experienced user who may want to explore and learn, there is much more material available on resetting OS X passwords. Some of these other techniques are not as simple and should be practiced on a non-mission critical Mac, being mindful of their context and applicability. Finally, if you run into a problem and can't navigate your way out, one thing to try is to contact an Apple retail store nearby. Make an appointment with an Apple Genius, and you'll get the help you need. Note: Before your take your Mac into an Apple store for any repair or procedure, make sure you've made a Time Machine backup. Alternatively, you can check the Apple Consultants Network.